The MSc. and PhD. 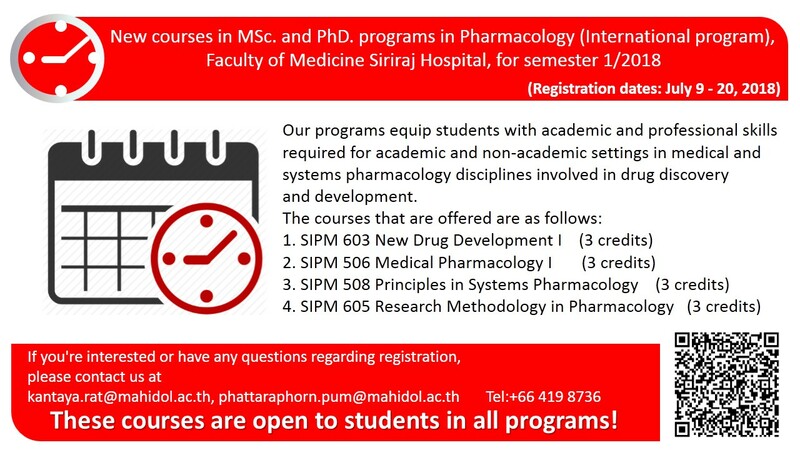 programs in Pharmacology (International program), Department of Pharmacology, Faculty of Medicine Siriraj Hospital, offer courses which help students develop and advance pharmacological knowledge and skills. In addition, our programs equip students with academic and professional skills required for academic and non-academic settings in medical and systems pharmacology disciplines involved in drug discovery and development. These courses are open to students in all programs!